Directed by Ridley Scott and starring Matt Damon, The Martian is a Sci-Fi film based on Andy Weir's 2011 novel of the same title. Adapted to the screen by Drew Goddard, The Martian tells the story of Mark Watney, an astronaut specializing in Botany, who finds himself stranded on Mars, mistakenly left for dead by his fellow teammates. The plot follows Watney’s fight for survival as well as NASA’s attempts at rescuing him. 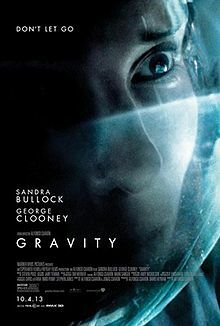 Gravity is a Sci-Fi thriller, co-written, co-produced, co-edited and directed by Alfonso Cuarón, and staring Sandra Bullock and George Clooney. The film depicts the fictional fallout of a space mission gone bad, as the surviving astronauts from a damaged Space Shuttle try to hang on for dear life and make it back home. 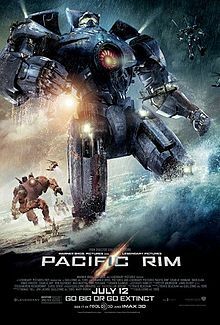 There is something very likable about Pacific Rim, the new sci-fi, monsters fantasy film, directed by Guillermo del Toro to a script by del Toro and Travis Beacham. The film could have been a better film if its makers didn't aim at imparting universal wisdom and, instead, spent more energy on writing a less trivial plot. 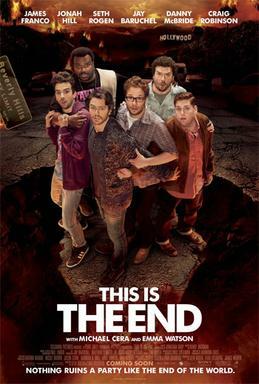 Maybe the sequel, which is likely to follow, will do better.